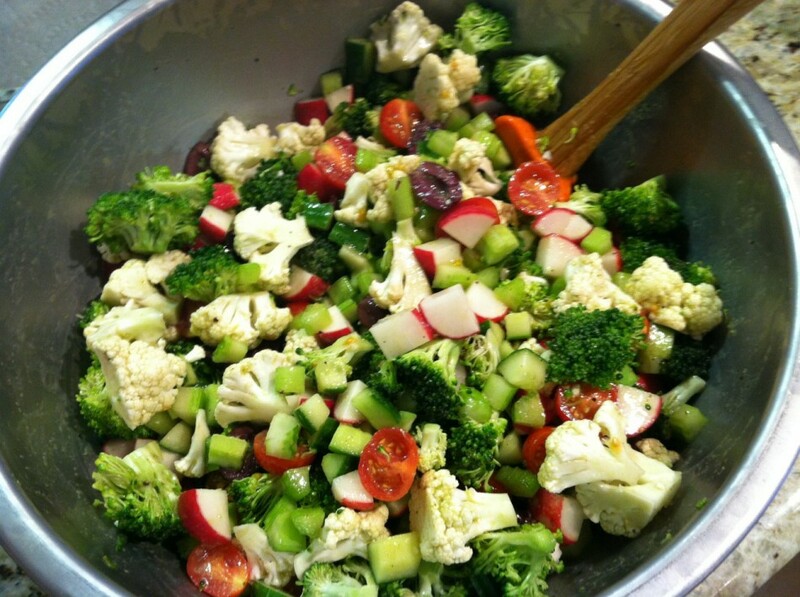 This salad is legendary in our work kitchen. Shanti takes the odds and ends of vegetables in the walk in and dresses them with a bright herb vinaigrette then crumbles feta and crispy shards of pita chips on top. Lunch of the gods is served. We are so in love with this crunchy salad, we served it to our clients and they too fell under its spell. It’s so healthy and yet so satisfying. While these photos show the fattoush in its most raw state (pun intended) it looks and tastes much better with lots of salty feta and crispy fried pita on top. Maybe it would look better on a nice platter and not in a metal mixing bowl and taken with a real camera and not an iphone? Maybe not. If you want to turn it into a meal you can add cooked quinoa. Thanks for sharing the recipe Shanti! To make the dressing, finely mince the garlic, shallot and fresh herbs. Add all the dressing ingredients to the blender and puree until smooth. Season with salt and pepper to taste. Dressing will be tart! Make the quinoa according to the package instructions and allow to cool well (can we done in advance or skipped entirely.) Wash all the vegetables and chop into bite sized pieces. Slice the kalamata olives into quarters the long way. 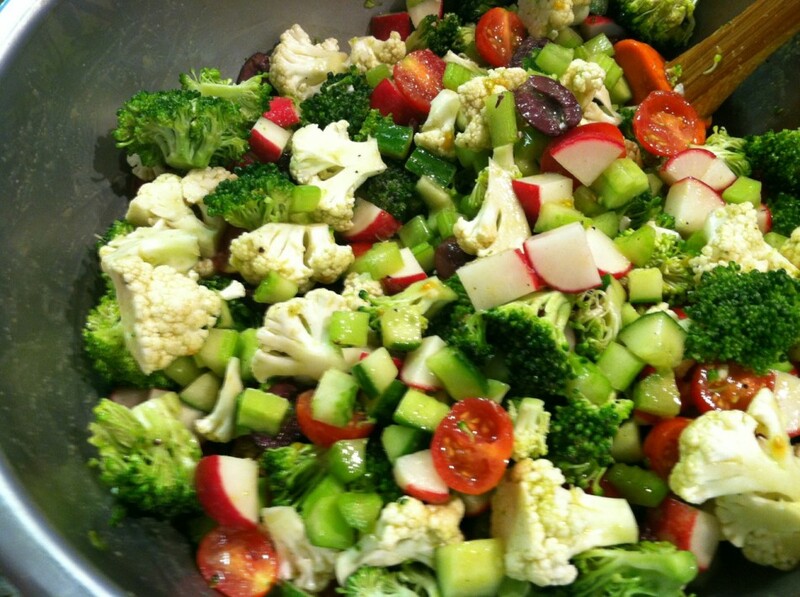 Toss all the vegetables and chilled quinoa in vinaigrette and allow to sit and soak at room temperature for 20 minutes. If not serving immediately then cover and chill in the fridge. Before serving top with feta cheese and crumbled pita chips. Serve with extra pita chips on the side. Can’t wait to try it. It look beautiful.